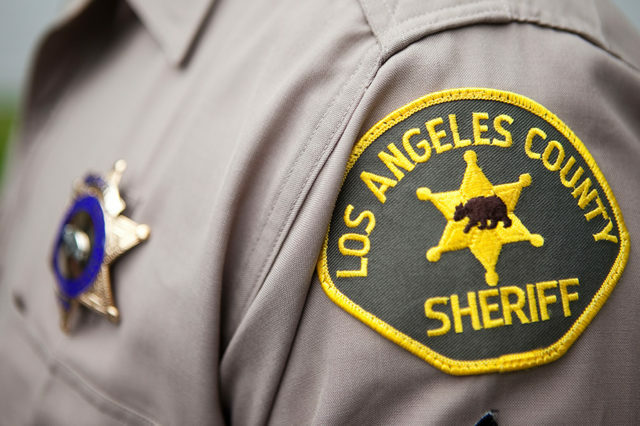 Los Angeles Sheriff’s Department. Photo by John Schreiber. A Los Angeles County sheriff’s deputy was hospitalized Thursday morning following a two-vehicle crash in Palmdale. About 11:30 p.m. Wednesday, the deputy was en route to back up another deputy when he collided with another vehicle at the intersection of Avenue R and Fifth Street East, according to Deputy Marvin Crowder of the Sheriff’s Information Bureau. The deputy’s cruiser sustained major front end damage and the other vehicle sustained minor front end damage, he said. The deputy was taken to a hospital with non-life threatening injuries and the woman driving the other vehicle was treated at the scene and released, Crowder said. The name of the deputy was not released.